"Just Average - Ambitious Topic for Short Interview and Not Well Structured"
If you want to learn more about inner game, and specifically your identity, but not spend the money for a full program like The Blueprint Decoded this audio is an option to get you started. However, expect to have to use other dating advice to really make use of it. To address the theme of Identity (who you are and who you convey yourself as - an aspect of inner game) in an hour long interview session is ambitious. And the result is reflected in that. The product lacks the detail and depth to really teach you the subject of Identity and enable you to implement it properly. The topic "How to dress for your identity" is covered briefly and "When and what to change in your life to be your best self" not in much depth. If you are interested in buying the product for these points in particular, keep that in mind. The interview touches on a variety of themes around identity, with some good material, however it is not well structured. Most of the content, in fact, is informally related and unstructured. This is made worse by the fact that there is a fair amount of chit chat and joking made between the coaches in the interview. 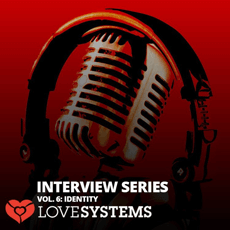 In some interviews from Love Systems this isn't a problem, but given that it was ambitious to cover the subject well already in a short time, this lack of structure and informality further limits the value delivered in the interview. The only part which really attempted to introduce some structure for someone to easily follow was a piece on how to develop your 'Grounding Routine'. This is what you communicate to women to establish your identity with them. The "Grounding Routine" is one of Mystery's original innovations, and it was disappointingly not discussed in great detail here. The interview does give you a good foundational basis in what you have to work on in order to build a strong identity and why it is important to attract women. However, the relatively haphazard way in which themes are discussed (because of lack of structure) and only a minimal of practical detail and recommendations make it harder to implement. Inner game themes such as identity are not the easiest things to learn - so more practical detail is necessary to help men really apply the advice. A great point of this interview is the motivational value of it. All of the coaches in the audio talk with passion about what they are saying. They really demonstrate that they believe in it, and this is an important aspect of what someone trying to build their identity and make it work with women needs to understand. Both passion and enthusiasm are main topics in the audio, and they are related well by the coaches. If you buy it, pay attention to how they communicate their passions. This in itself is an angle you should be studying. The content in this audio remains mostly in the abstract. The importance of an identity and how it relates to what you do today are conveyed pretty well. For the price of this product, I would've expected a more 'professional' finish to it - with more work done on structure beforehand. If you have a serious interest in learning "inner game and confidence" and more about identity, Real Social Dynamic's The Blueprint Decoded is the most comprehensive product. Vin DiCarlo's The Attraction Code gives a good introduction into it for beginners. In the case of The Attraction Code, since it is an ebook, keep in mind that it is has the disadvantage of you reading and not hearing (as with this product) or seeing full video (as with The Blueprint Decoded) to understand the subleties of inner game which are conveyed well by the coaches.